Peterson Air Force Base, Colo., recently put a new kind of emphasis on STEM — science, technology, engineering and mathematics — fields by giving kindergarteners to eighth graders the opportunity to participate in various experiments and activities. 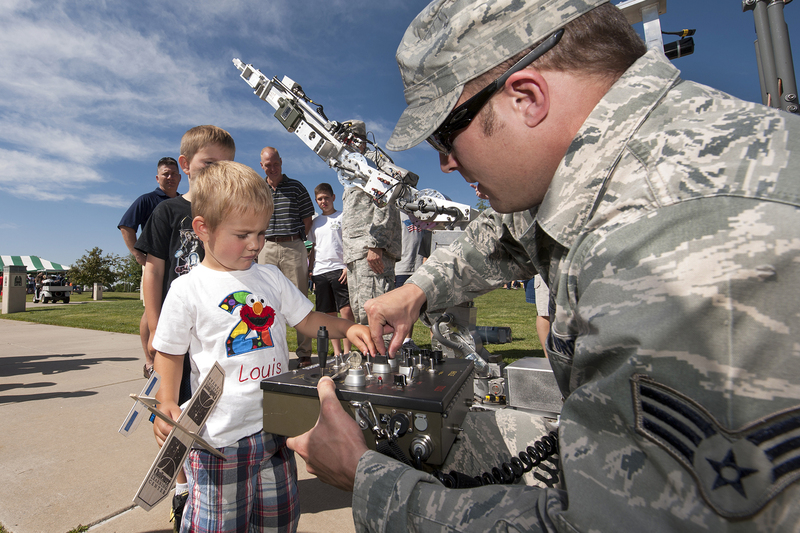 Their “STEM Rocks!” event brought 2,000 parents and children to the base to launch rockets, make slime, drive miniature underwater rovers and get their hands on many more science experiments, according to a news release. Tech. Sgt. Glen Kirkham, STEM Rocks! lead coordinator, said that events like this are important because of the exposure children have to the various scientific fields. “You teach them that they have these different avenues to learn and that they can apply them to be able to solve things, from life’s little intricacies to major things like getting to space,” Kirkham said in a release. STEM Rocks! also gave the participants a chance to see STEM ideas linked to Air Force goals. “When you have children who are versed in (many areas of STEM), they can see the big picture, which is what we need in today’s Air Force,” Kirkham said. “STEM subjects are vital to our high-tech Air Force, and inspiring interest in these subjects with today’s youth is key for our Air Force and nation tomorrow,” said Col. John Shaw, 21st Space Wing commander. Twenty-five years ago, the U.S. led the world in high school and college graduation rates, according to the National Math + Science Initiative. Today, the U.S. has dropped to 20th and 16th. View more photos from STEM Rocks! here.